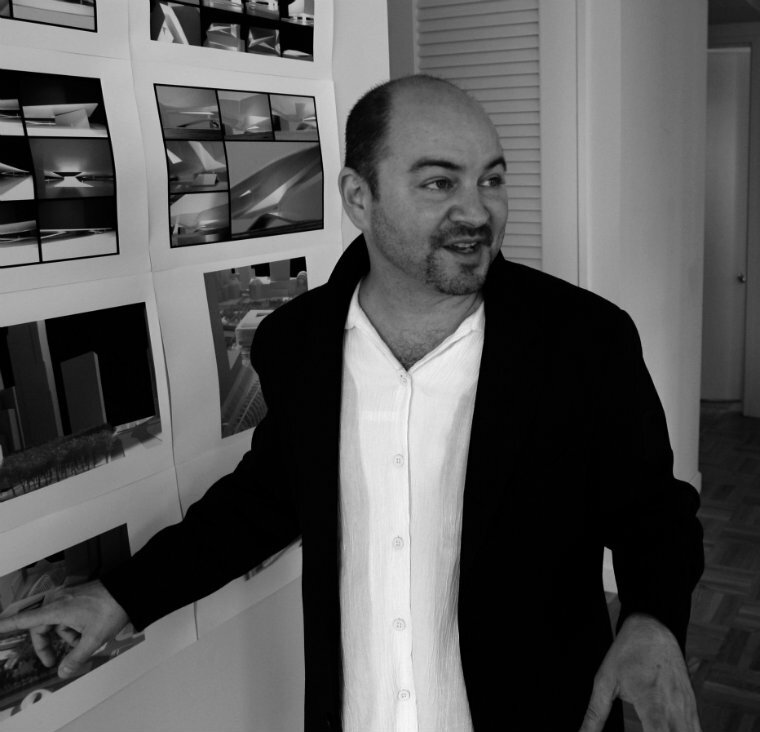 2013 AAO Conference Keynote Speaker Craig Edward Dykers, founding partner, Snøhetta. The Association of Architecture Organizations Conference is the largest annual gathering of nonprofit professionals dedicated to engaging the public on issues of architecture and design. Our 2013 meeting, Making and Measuring IMPACT, took place in Boston, Massachusetts, September 26-28, attracting an international audience of more than 200 participants. Through keynote presentations, breakout sessions, and mobile tours in the community, attendees were given opportunities to investigate how communities are strengthened through design. In addition to big-picture thinking, technical skills and organizational development were addressed in several operations areas, such as architecture tours, exhibitions, lectures, and public programs. Craig Edward Dykers, founding partner of Snøhetta, will give the keynote lecture “Contemplative Architect: On Creating Meaningful Public Spaces.” Snøhetta practices what the late Ada Louise Huxtable has called "the architecture of engagement." Locals, sunbathers, tourists, lovers, and families can be found enjoying the sloping roof of the Dykers-designed Norwegian National Opera and Ballet building on the Oslo harbor front. Snøhetta is also aiming to transform Times Square, one of its many current projects, into a place locals and tourists can both enjoy by improving and expanding the pedestrian spaces of New York City’s most famous crossroads. Maxwell L. Anderson, director of the Dallas Museum of Art, will give the lecture “Visionary Cultural Leader: On Finding the Pulse of Your Audience.” Anderson has built a reputation on pioneering new ideas in museum communications. From inventing the first art-world public dashboard of real-time performance measures to his recent campaign rethinking the value of free museum membership through DMA Friends, Max's business know-how and unfailing optimism challenges leaders across the AAO network to adopt new standards for engaging local audiences. Stephanie Evergreen, principal of Evergreen Evaluation, will give the lecture “Experienced Evaluator: On Nimble Data Collection for Your Organization.” What information should your organization collect in order to gain a leading edge with funders? How can your organization gather on-the-go data quickly and easily? Working with real-life stories submitted by AAO member organizations, Evergreen will share simple, quick data collection strategies that you can use to increase your organization's evaluation capacity, better understand your strengths and weaknesses, and demonstrate your organization's progress on grant applications. Kent Martinussen, CEO of Danish Architecture Centre, will give the lecture, “Seasoned Architecture Center Director: On Envisioning the Potential of Our Field.” Martinussen recently brought together leaders of architecture centers from around the world to discuss how these organizations can be drivers of change. The goal was to help inform the growth of the Danish Architecture Centre as it prepares to move from an eighteenth-century building to a new facility designed by Rem Koolhaas/OMA in 2017. Learn about the DAC's plans and what Kent gleaned from fellow directors about the impact, conditions, and methods of our field. Michael Wood, executive director of Association of Architecture Organizations, has curated the past three AAO Conferences, successfully transforming an annual Chicago meeting into a traveling event that visits cities across the United States and brings AAO members into closer contact with the work of architectural organizations throughout the country. Under Wood's leadership, the association has grown from eighteen founding members to a network of 110 members spanning more than fifty US cities and six countries. Founded in 2009, the Association of Architecture Organizations (AAO) is a member-based network that connects the many organizations around the world dedicated to enhancing public dialogue about architecture and design. To strengthen this growing field, AAO organizes conferences and other professional development opportunities, supports the creation of new architectural organizations, manages communication networks for our members, and serves as an advocate and media resource.